Fantastic. I know this got some middling reviews, but it was pretty much everything I want a Jim Jarmusch movie to be, everything I want a vampire movie to be. Basically all movies should be this movie. I can't believe it took me so long to watch it. A Jim Jarmusch film that I actually loved? Who'd a thunk. But thank you Mr. Jarmusch for bring the much needed romanticism, and bloody fangs back to the vampire genre. Swinton is, per usual, exquisite. She truly can do no wrong, and she commands the screen once again. Tom Hiddleston has less to do, but his quiet and brooding performance, is genuinely pulled off effectively. It's Mia Wasikowska, another popular rising actress, is fantastic in her small role. Also, the aspect of making blood like a drug to the vampires is a nice touch. 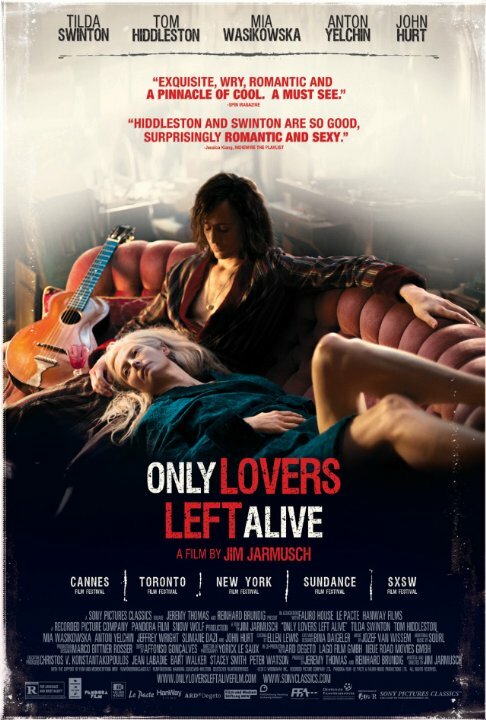 Beautiful, quietly funny, original, Only Lover's Left Alive is one of my favorites of the year.